How does one become—or kill—a werewolf? Where do our modern shapeshifting stories come from? Are werewolves real? The truth is much stranger than fiction. 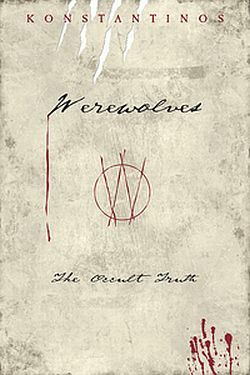 Werewolves investigates the centuries-old myths and compelling evidence surrounding these enigmatic beasts of literary fame. Explore four types of werewolves—involuntary, voluntary, other-dimensional beings, and astral—plus Native American beliefs, ancient legends from cultures worldwide, true stories of sightings, and scientific theories. From shamanistic practices and curses to drug-induced hallucinations and serial-killer werewolves, this book will tantalize readers. Also includes authentic rituals for werewolf transformation! Available at all major bookstores and wherever Llewellyn books are sold. To order toll-free, call 1-800-THE-MOON.